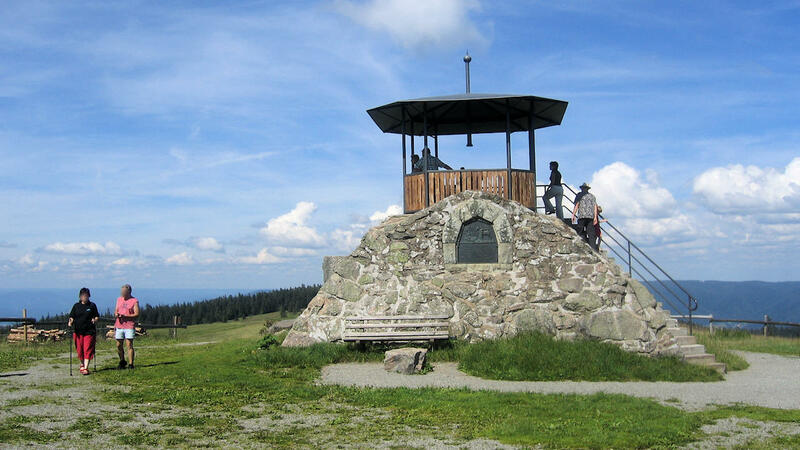 Kandel Mountain can be reached by road from Waldkirch or from St. Peter or Glottertal from the south. 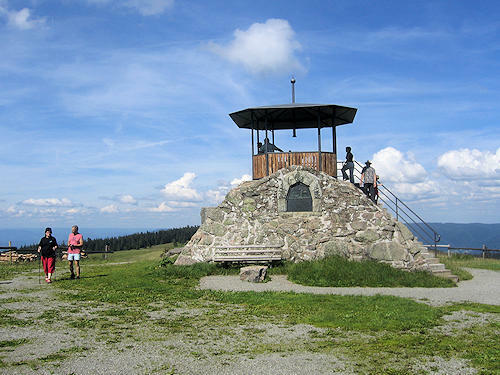 There is a large car park at the highest point of the road, and a 400m footpath leads to the summit from there. 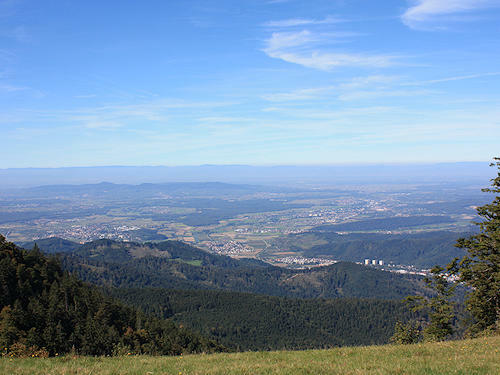 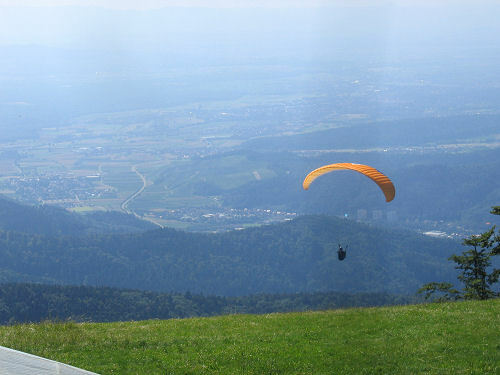 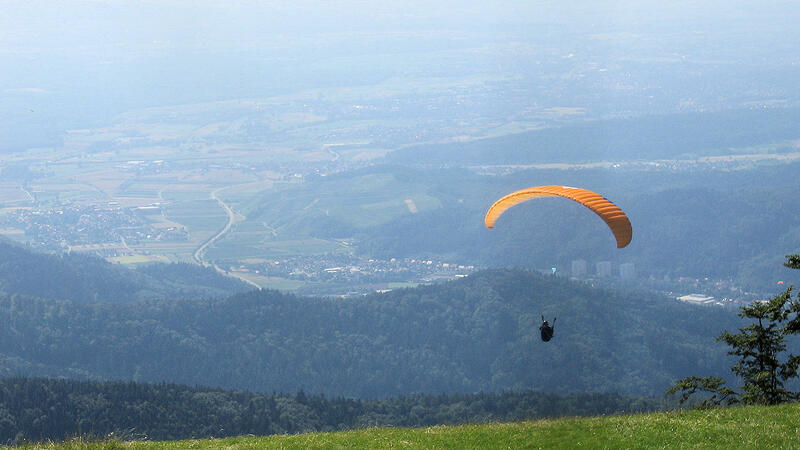 Photo: View from Kandel Mountain over the Elz Valley, Waldkirch can be seen on the right. 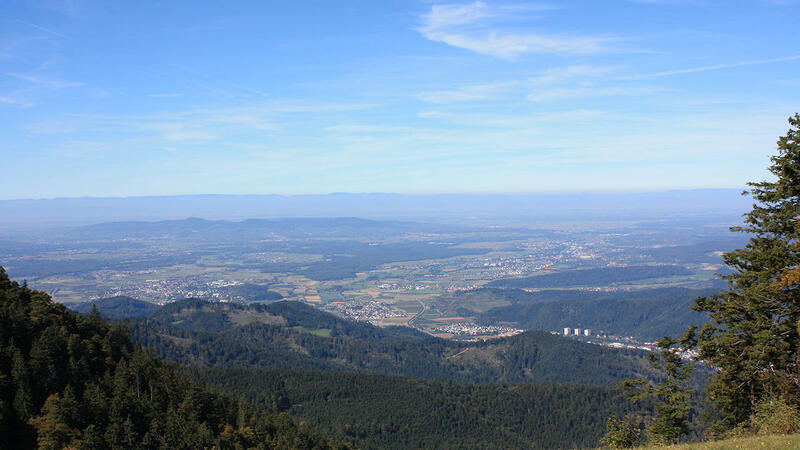 The Vosges Mountains rise up from the mist in the background.